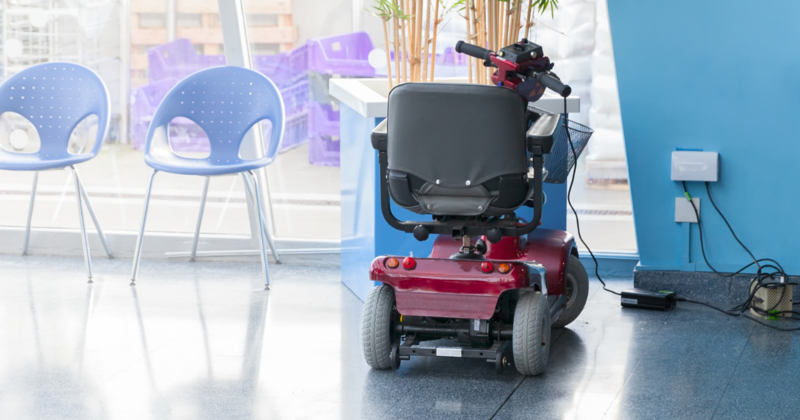 A broken mobility scooter can cause distress to the person who relies on it. But, as with any vehicle, these scooters also break down and require repair work from time to time. In general, mobility scooters are durable and long-lasting, so you don’t need to buy a new one right away as a replacement. According to Consumer Digest, insurance companies don’t cover the cost for mobility products so it would be impractical to buy a new one if the issues of your vehicle are parts that may be repaired or replaced. If you’re concerned your scooter may need replacing soon, then keep reading to learn when to buy a new mobility scooter. The most common breakdowns for mobility vehicles usually involve the batteries, charger and tires. Sometimes, the key ignition and the electric motor could also give in, especially after years of use. The breakdown can be a big hassle, especially if you’re far from home or in the middle of the road. This is why you have to put emergency contact numbers of family members or friends on your phone, including the number of a reliable vehicle repair shop. If your mobility scooter ever breaks down, you need to let them know of your situation so you can get proper assistance. A number of cases of mobility scooter breakdowns involve the battery being low on charge. A scooter that’s low on power will become sluggish or completely stop in the middle of the road. It won’t start again if you try to turn it on. It’s also not good to force your vehicle to restart over and over. If it’s a charging problem, the LED indicator will move or blink rapidly. Nowadays, scooters are equipped with a feature that alerts you when you have to replace the batteries. So, if you see this signal, then do it as soon as possible. If you’ve got a functioning battery set and you’ve charged the scooter the night before, yet it’s still not working, check if there’s something loose in the battery compartment. Are the connections secure? Is the seat back in place properly? In some cases, the position of the battery pack might just be the problem. If you’ve brought a charger with you during your drive then you could be back on the road as soon as you find a power outlet to plug and recharge. The most important thing is to get back home and bring your scooter to the repair shop for an assessment. However, if the performance of your scooter is still unstable after you’ve tried fully charging several times, then there could be problems with your charger. Contact the manufacturer or dealer for its replacement. Using a broken charger will affect the performance of the batteries. Mobility scooters are equipped with durable tires that can last many uses, but it will still eventually wear out. Worn out tires can impact the scooter’s stability, maneuver, and braking safety, so you should never put off its replacement for another time. You will need roadside assistance for tire problems. It is best to get an expert to assess the tire’s condition prior to replacement. To lower your chances of getting a breakdown, you should run a routine check of your mobility scooter. You need to check the tires and the lights every day, as well as ensure that it is always fully charged. Once a week, run a check on the steering and controls. You also need to bring your scooter to a shop for its yearly check so that its performance won’t be compromised. Are you in Orlando and in need of a mobility scooter to get around conveniently? You can trust Yellow Scooters to provide affordable rentals for mobility vehicles. Call us today at 855-274-3363.